Turkey’s culture and tourism minister on Friday warned against growing Islamophobia and anti-refugee sentiments in Europe. “It is extremely worrying that in Europe, the rise of anti-refugee sentiments, xenophobia and Islamophobia are manifesting themselves in the form of hostility against Turkey and Turks,” Numan Kurtulmus said on Friday. The Turkish minister visited Mevlana Mosque of Muslim-Turkish community in Berlin, which was badly damaged by an arson attack in 2014. Kurtulmus said Muslims in Germany were worried over the rise of racism and growing number of xenophobic attacks in recent years. He condemned a Molotov cocktail attack at a Turkish mosque in southern German city of Lauffen am Neckar on Thursday night, which caused a minor fire. 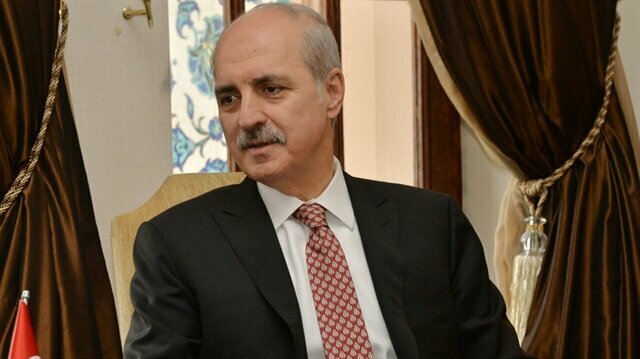 The Turkish minister said the rise of racists and anti-Muslim sentiments were undermining peaceful coexistence in the country. “This is manifesting itself not only by the use of far-right rhetoric in politics. It is also a very dangerous development poisoning relations between the countries,” he said, referring to recent tensions between Ankara and Berlin. Kurtulmus called on German politicians and civil society organizations to take a stronger stance against xenophobic and Islamophobic hate crimes. Germany has witnessed growing Islamophobia and hatred of migrants in recent years triggered by a propaganda from far-right and populist parties, which have exploited fears over the refugee crisis and terrorism. Some 950 Muslims and Muslim institutions were attacked in 2017, according to the official figures. At least 33 Muslims were injured in these attacks, which included assaults against Muslim women wearing headscarves and attacks against mosques and other Muslim institutions. Germany, a country of 81.8 million people, has the second largest Muslim population in Western Europe after France. Among the country’s nearly 4.7 million Muslims, 3 million are of Turkish origin. Many of them are second or third-generations of Turkish families who migrated to Germany in the 1960s and are well-integrated.